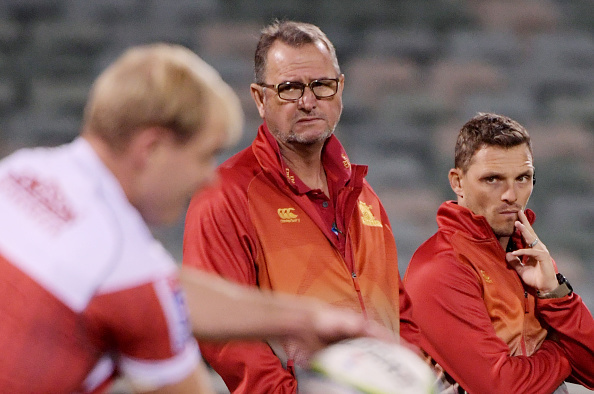 The Lions will have to address their defensive concerns, coach Swys de Bruin believes, if they are to put up more of a fight in the remaining two games of their tour to Australasia. After starting their Super Rugby trip with a 31-20 defeat to the Brumbies in Canberra at the weekend, they were gearing up for battles against the Chiefs and the Crusaders over the next two weeks. “I think we started off well enough in those first 10-12 minutes, but then we gave away two soft tries,” De Bruin said. De Bruin, however, insisted they could not allow themselves to slip into a negative frame of mind, and they would have to find a way to solve their defensive problems. “There is a bitter taste in my mouth when we lose, but the next day the sun will shine again and you have to work on it from there,” he said. Having gone down to four defeats in the Super Rugby campaign, the Lions were in danger of losing touch with the frontrunners, but the blooding of young players was always going to create teething problems for them. “We know there are tough expectations on us, but we are confident and know we have to crawl before we can walk,” De Bruin said. Following their crushing defeat to the Crusaders the week before, De Bruin also felt the much-maligned Brumbies deserved some credit for their performance. “I have been in the game for a long time and we knew they would bounce back after a big loss, where I thought they played well.